AKIPRESS.COM - India and Mongolia have agreed to step up cooperation in areas like air connectivity, trade and economic cooperation, energy security, mining and traditional medicine as part of sustained high-level bilateral exchanges, an official statement said on Sunday. The decision was taken during Union Home Minister Rajnath Singh's official visit to Mongolia from June 21-24, said the Home Ministry statement. 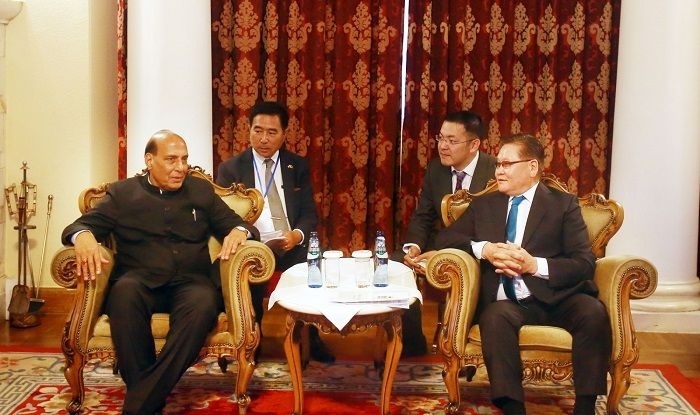 "During the bilateral talks the Home Minister held with the Mongolian leadership, both sides agreed on the need to step up cooperation in a number of areas such as air connectivity, trade and economy, energy security, mining, traditional medicine, animal husbandry, capacity building, education, people-to-people contacts, media exchanges and in films," the statement said. Rajnath Singh called on President K. Battulga and held talks with Prime Minister U. Khurelsukh, Deputy Prime Minister U. Enkhtuvshin, and Minister of Justice and Home Affairs Ts. Nyamdorj on wide-ranging issues of bilateral interest, including cooperation between India and Mongolia in disaster risk reduction, border management, and capacity building programmes in security domain. He, along with Khurelsukh, presided over the ground-breaking ceremony of Mongolia's first petrochemical refinery project, which India is assisting.